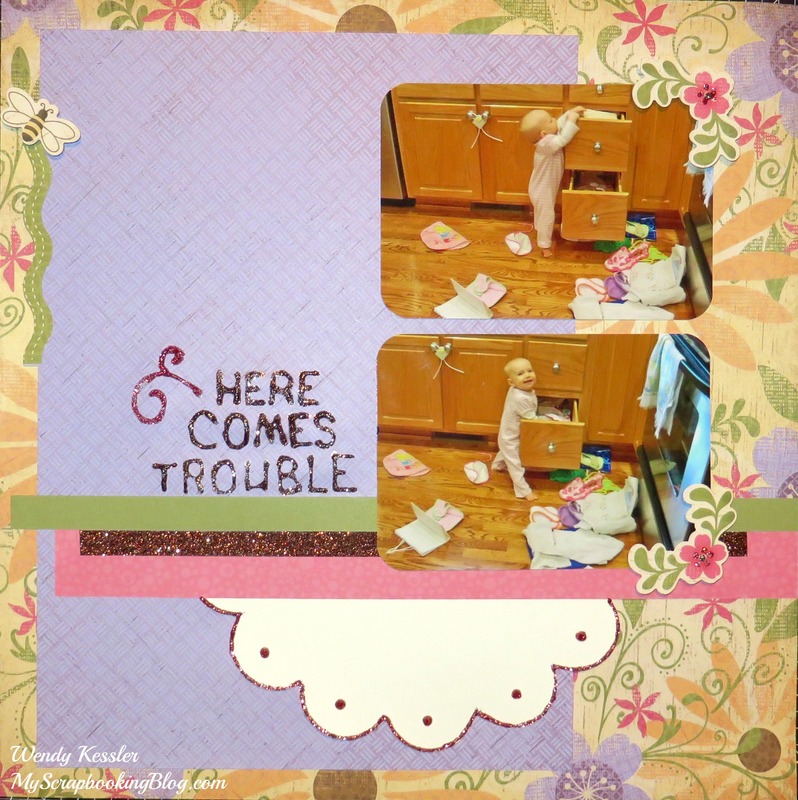 Use Your Stash Blog Hop: Glitter! Welcome to this months CTMH Use Your Stash Blog Hop! This month we are focusing on all things GLITTER! If you are starting here, you will continue until you make your way back. If you have already started the hop, you should be coming from Janet McCormick. Supplies used are all CTMH: Bella Paper Packet (retired), Bella My Stickease (retired), Bronze Shimmer Trim, Bronze Glitter Glitz, Pink Glitter Glitz, and Art Philosophy Cricut cartridge. For my glitter I used some Shimmer Trim and Glitter Glitz Gels. These products are great to use with any papers and I love to add them to older ones to give them a fresh look and are among my favorites. The Shimmer Trim has an adhesive back and you can look forward to more colors in the 2014 Spring/Summer Idea Book. The Glitter Glitz Gels are retiring and will only be available until the end of January 2014 (or while supplies last). On this layout I used the Glitter Glitz Gel to create my title, outline my diecut, and accent the My Stickease stickers. Now move on to your next stop, Shirley Ross. Really Darling! My Mom took photos of me pulling potatoes out of the potato drawer. Too cute! I love your explanation of all things glittery — the title is perfect! cute layout and the subject, too. Cute!! The pink glitter gel adds just the right amount of girliness! Great job!